I recently went to the theater to see the box office phenomenon “Black Panther”, and to my complete surprise, I spotted an old friend there. This friend is not a person, but rather a building. 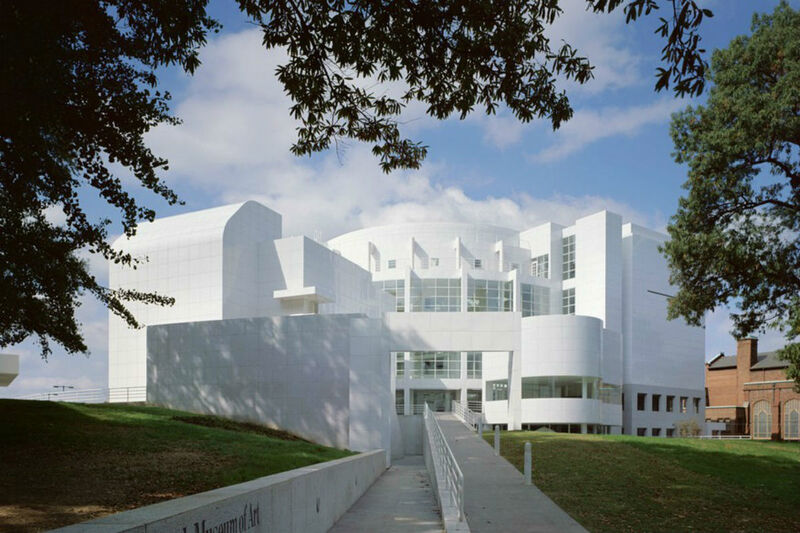 Midtown Atlanta’s High Museum of Art was featured in several of the film’s museum artifact heist scenes. This is not the first time since moving away from Atlanta, just over a year ago, that I have caught glimpses of the iconic Richard Meier creation on the big screen. In this instance, the building plays a British museum… and perfectly so, I might add. But, I’ve also recently noticed its performance as a hospital in the newly released TV medical drama based in Atlanta, “The Resident”. 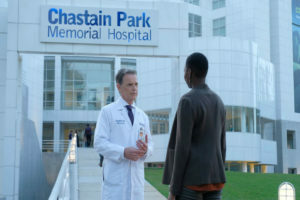 The museum plays Chastain Park Memorial Hospital, under the administration of Bruce Greenwood (and who wouldn’t love him as a costar?). The High, is unforgettable architecture. The building is simply Art itself, and apparently taking up a second occupation these days in film. 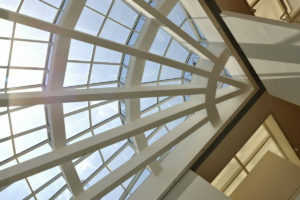 My first visit to The High was as a second year student studying for my Bachelor of Architecture degree in Atlanta. Our design studio scoured over every inch of the building, sketching and noting the design features that pull the visitor’s gaze away from the treasures within, to gawk at its wonder. Utilizing several methods of capturing the perfect viewing daylight from above, there are skylights and famous light scoops overhead, added with the museum’s latest expansion designed by Italian Architect Renzo Piano. 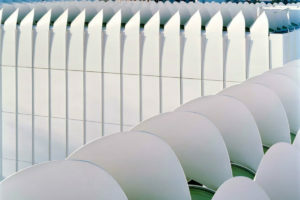 This building visually grabs you, whether there for an afternoon of dissecting design concepts, or just to meander through endlessly connected rooms of notable collections of paintings, sculptures and furnishings. After that first most memorable visit, I returned countless times over the years to visit the art within the art, paintings on loan from the Louvre, China’s Terracotta Army exhibit, the Tempera paintings of Andrew Wyeth, the wildly famous Girl with a Pearl Earring by Vermeer, and on and on, and on…… Atlanta’s skyline may be dotted with the recognizable architecture of American greats like Phillip Johnson and Michael Graves, and local masters such as the late John Portman, but the building that will always stand out in my mind (and now on the big screen), is the High Museum of Art.